New Layton Listing with 6 bedrooms, 3 bathrooms and 4246 square. "Price reduced on this Amazing rambler located in the highly desirable Tanglewood development. Tanglewood development is the hidden gem you have been looking for with million dollar views, tennis courts, pool, clubhouse, private entrance to mountain trails including popular Adam's Canyon, and some of the finest neighbors you will ever meet. Home offers 6 bedrooms with large master suite on main level, large formal living room along with formal dining. 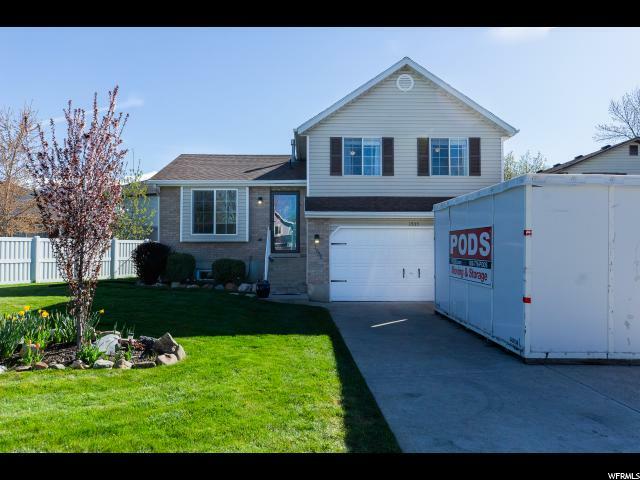 Home has some updates"
New North Ogden Listing with 4 bedrooms, 4 bathrooms and 4182 square. "This home features approximately 4200 sq feet of meticulously appointed space in a carefully designed 2-story floor-plan. It features a grand entrance, 4 spacious bedrooms, 3.5 bath, 2 family rooms, large bonus room, recently updated kitchen with quartz countertops, expansive formal dining room, new paint and flooring throughout, office and craft room, finished storage room and a large cold storage room, 3-car garage with overhead storage, professionally landscaped, automated sprinkler system. This well-maintained, one-owner home is located on a quiet street in an amazing neighborhood. Great mountain views. Near Bates Elementary and North Ogden Junior High." 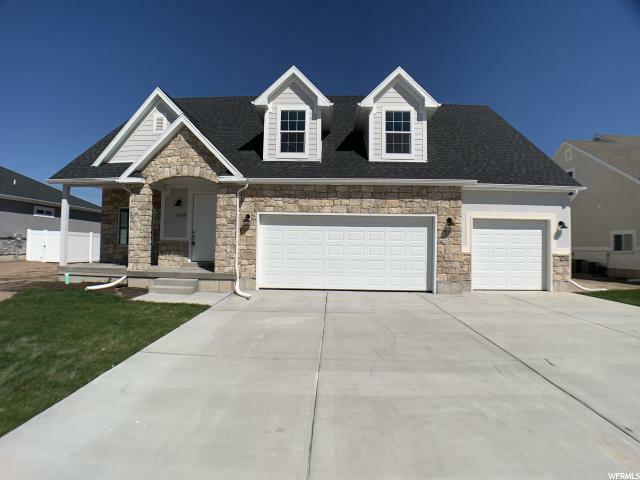 New Layton Listing with 4 bedrooms, 3 bathrooms and 4149 square. "Stunning home on a quiet cul-de-sac in East Layton. Large, secluded lot with no backyard neighbors. New roof and $30K solar system (owned). Large remodeled kitchen with granite, stainless appliances, and double oven. New engineered hardwood floors. Master bedroom features a sitting room with a fireplace and views. Master bath has separate jetted tub and shower. Walk-out basement. Huge 820 SF garage. Occupied. Please make an appt. to show. See agent remarks for showing times." New Layton Listing with 3 bedrooms, 3 bathrooms and 3338 square. 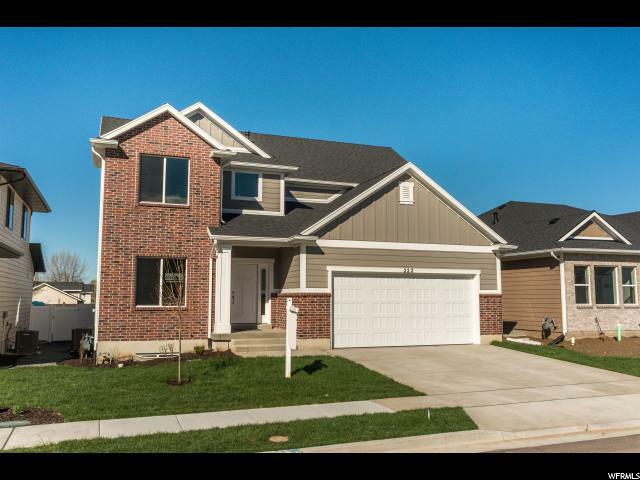 "Beautiful home in a brand new development in East Layton. The Nixon floor plan features open high ceilings and a spacious interior. The kitchen includes custom white and grey cabinets and quartz countertops along with a large island for seating. The beautiful staircase leading upstairs is a focal point in the home. You'll find the Master suite, 2 other bedrooms, another bathroom and the laundry room on the second story. Great open spaces throughout with 2 story ceilings in the great room. Features 9 ft ceiling heights on the main and in the basement. HOA will maintain all the landscaping in the community. " 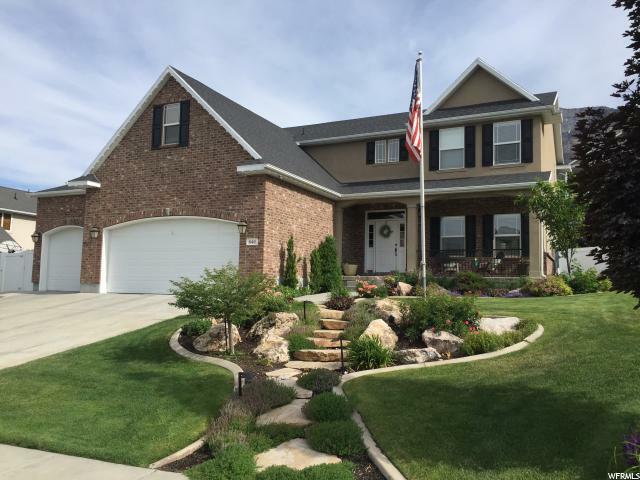 New North Ogden Listing with 6 bedrooms, 3 bathrooms and 3150 square. " Location, Location backs up to The Barn Golf Course, enjoy the beautiful view from your back porch open fully floor plan with great flow fully finished rambler, some 2 tone paint intricate tile surrounds in the bath large open great room with a fireplace and vaulted ceilings, with a view deck off the back. Vaulted ceilings in the Grande master suite with a large garden tub and separate shower, plus a walk-in closet, bathrooms have tile floors and tile surrounds, basements has a large open game room, plus 3 additional bedrooms and a 3/4 bath with plenty of room, walk out basement opens up to the lush green expansive view of The Barn Golf Course. " New Layton Listing with 6 bedrooms, 3 bathrooms and 3520 square. "Horse Property! This is an awesome opportunity to get a large home on a huge lot and make it your own! Loads of potential. NEW ROOF! Double pane windows. The home features a great layout with kitchen, dining, and family room areas all connected for an open-concept feel, plus a formal visiting room up front. The basement features three additional bedrooms (w/walk-in closets) and is well on its way to being completed (just needs flooring and some finish work). There is a basement entrance, a brand new deck off the dining room, and RV parking for all of your toys. Secondary water and pressurized irrigation for the yard. This is a great opportunity - come see for yourself today!" New West Haven Listing with 4 bedrooms, 3 bathrooms and 2513 square. 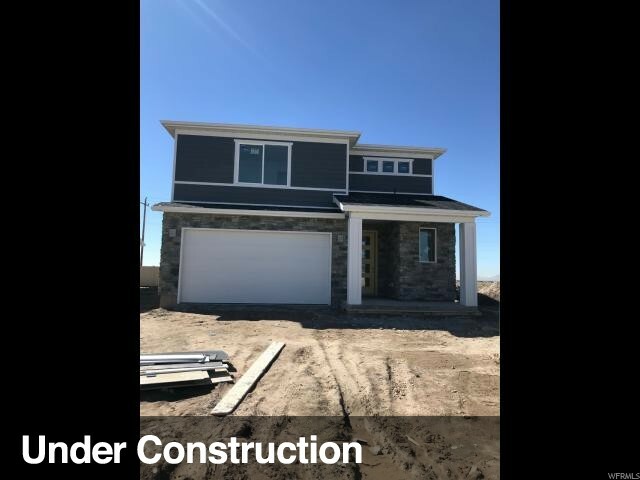 "Gorgeous new construction home! Why pay top dollar for an unfinished basement that's dark, cold, and will cost tens of thousands of dollars to finish? 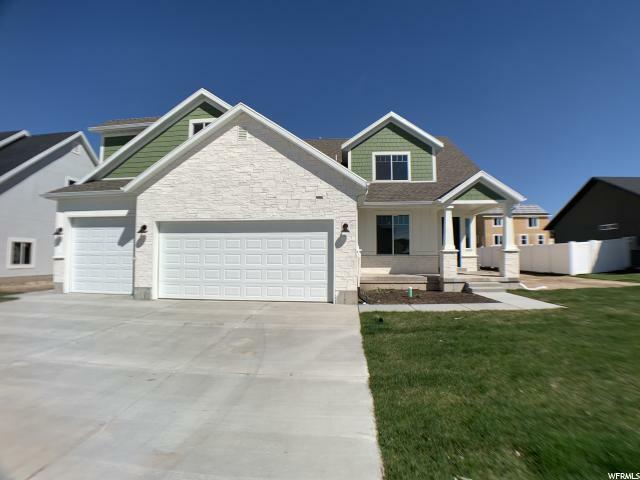 This fully finished, open 2-story home features quartz countertops, stainless-steel appliances, impressive master bathroom with HUGE walk-in closet, double deep third garage bay and so much more! Come see today!" New Farmington Listing with 4 bedrooms, 3 bathrooms and 2191 square. "OPEN HOUSE Saturday April 20th 10am - 1PM!! Location, wide open spaces, and a functional floorpan make this home the perfect fit for your needs. A cul-de-sac and a large 1/3 Acre lot ensure that you will never run out of outdoor space to enjoy. HUGE fully fenced backyard with a large Composite Deck, covered patio, garden spot, storage shed, and outdoor fireplace. Eagle Bay Elementary, Farmington Station, jogging paths, park, tennis courts, and creeks all a short walk away. 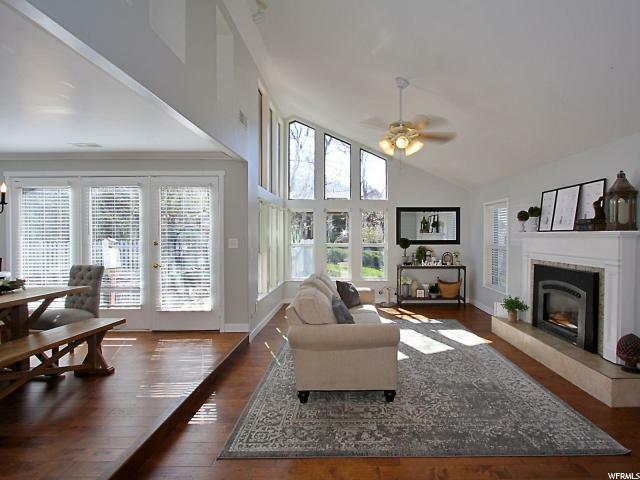 Inside feels light and open with vaulted ceilings and large windows. With 4 bedrooms and 3 bathrooms there is plenty of space for everyone. Downstairs living rooms is wired for surround sound. Two car deep garage can be used for a shop, storage, or your project car. EASY TO SHOW, come see it TODAY. Be sure to check out the interactive 3-D Tour. " New Syracuse Listing with 4 bedrooms, 3 bathrooms and 2037 square. "This is a great two story home on a good size lot. This home will be ready by the end of May. There are lots of local amenities with in 2-5 miles. Freeway access is about 4 miles away. Great colors with white shaker style cabinets." New Syracuse Listing with 3 bedrooms, 3 bathrooms and 1658 square. "This is a great two story with no rear homes with great views of the mountains. This home has lots of nice features for the price. This home is located close to lots of amenities, 2-5 miles. Freeway access is about 4 miles.This home will be ready to go the end of May." New Syracuse Listing with 4 bedrooms, 3 bathrooms and 2110 square. 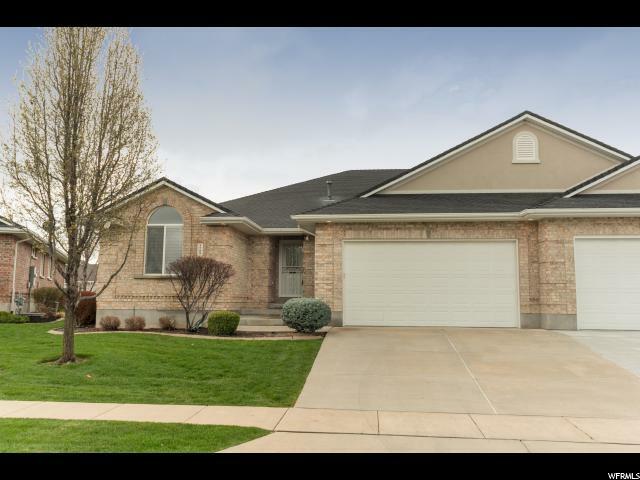 New Kaysville Listing with 4 bedrooms, 2 bathrooms and 1710 square. 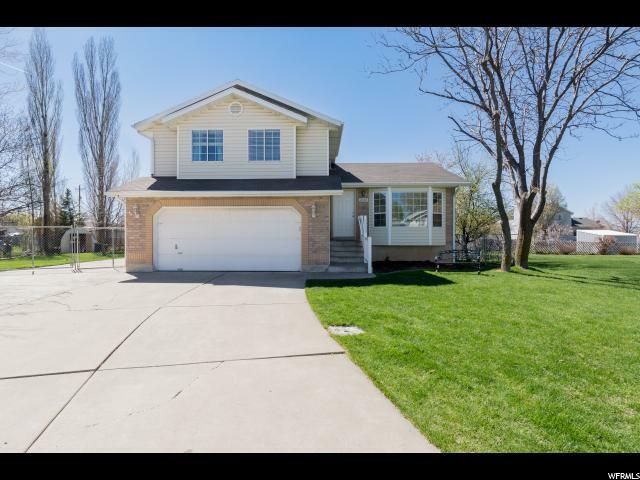 "Updated Kaysville charmer located in a wonderful neighborhood near Ponds Park with great access to the Freeway and Farmington Station. 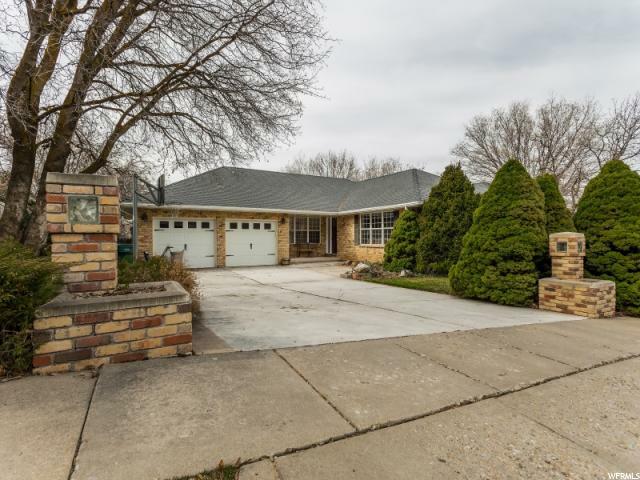 This 4 bedroom, 2 bath home has been meticulously maintained with a floorplan that flows with ease. Enjoy your Summer evenings on the beautiful deck covered with a Pergola. The new owner can rest easy as so much has already been done to make this home stand out. Updates include fresh paint, brand new subway tile backsplash in the kitchen, remodeled bathrooms and basement bedroom, updated flooring and carpet, custom front entry and storm door, newer range, fridge, dishwasher, microwave, and water heater and many more updates throughout. With its warm sense of community and only moments to shops, eateries, and transport - this home provides all the elements for relaxing, comfortable and easy care living. " New Farmington Listing with 3 bedrooms, 2 bathrooms and 1843 square. "Rarely Available End Unit Town Home in Quite Subdivision. NO Backyard Neighbors! f Designer Touches Welcome you to this Stunning Move In Ready Home. Upgraded Plank Flooring, Open and Bright Kitchen with Large Island and Stainless Appliances. Tranquil Master Bedroom with Wainscoting, attached Master Bath and Walk in Closet. 2 Additional Bedrooms and Full Bath Plus 2nd Story Laundry! Square footage figures are provided as a courtesy estimate only. Buyer is advised to verify all information provided. " 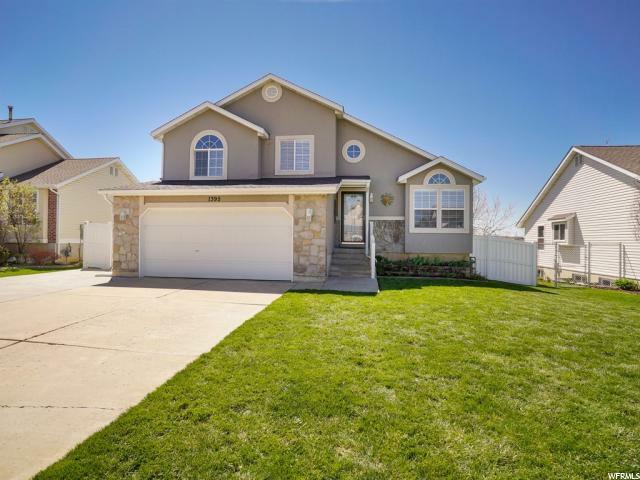 New South Ogden Listing with 4 bedrooms, 3 bathrooms and 1497 square. 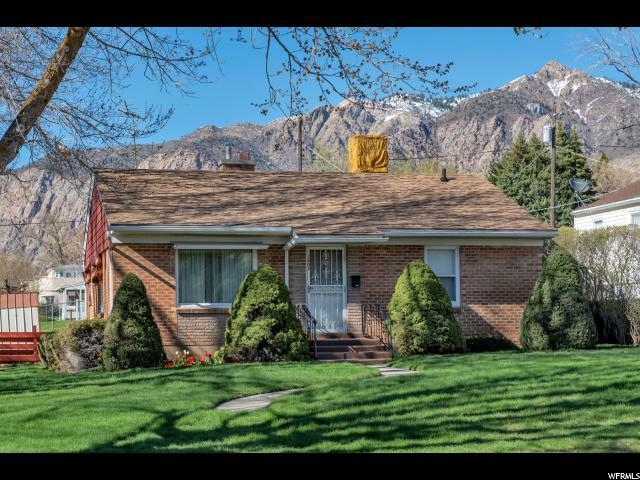 "Peaceful, private South Ogden home. No backyard neighbors! Mature trees line the fully fenced backyard, with South Ogden Nature Park behind. Within walking distance of trails, playground and splash pad! Beautiful mountain views, large Trex deck, vinyl fencing, RV pad and storage shed. Kitchen features stainless steel appliances and newer tile. Newer carpet, gas fireplace, and ceiling fan in living room. Master suite with large walk-in closet, soaker tub and separate shower. Original owner; home has been well-cared for. Home warranty included." New Syracuse Listing with 4 bedrooms, 3 bathrooms and 3025 square. "Great Home in a 55 and older community! Get Ready to make this yours! Beautiful, well maintained location close to shopping and the Freeway. Upstairs features 3 bedrooms, 2 bathrooms, Great Room with Gas Fireplace and Kitchen. Washer and Dryer is included. One level Living, Basement has 1 bedroom and full bathroom finished. Gun Safe in the Basement is included because it is bolted to the floor. Come check it out! " 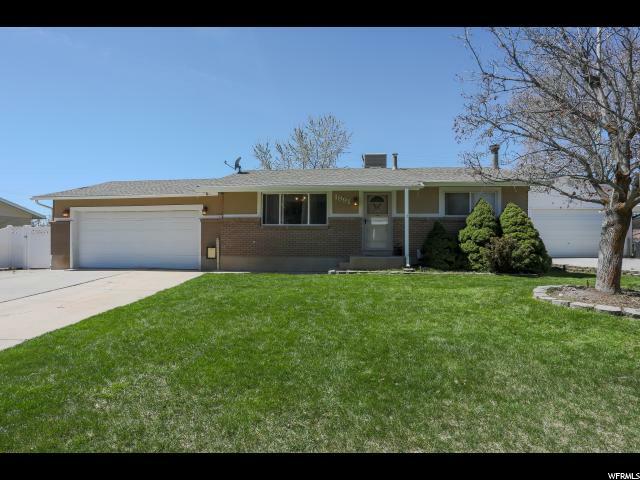 New South Ogden Listing with 4 bedrooms, 2 bathrooms and 1720 square. "This is the location you have been looking for. This quiet neighborhood is nestled at the base of the mountains with access to so many great outdoor activities. Brand new kitchen with granite counter tops and back splash. New carpet and flooring throughout. This 4 bedroom 2 bath features a master bath. The gas fireplace is perfect for that extra comfort feeling. Sq footage numbers are provided as a courtesy and buyer is advised to verify." 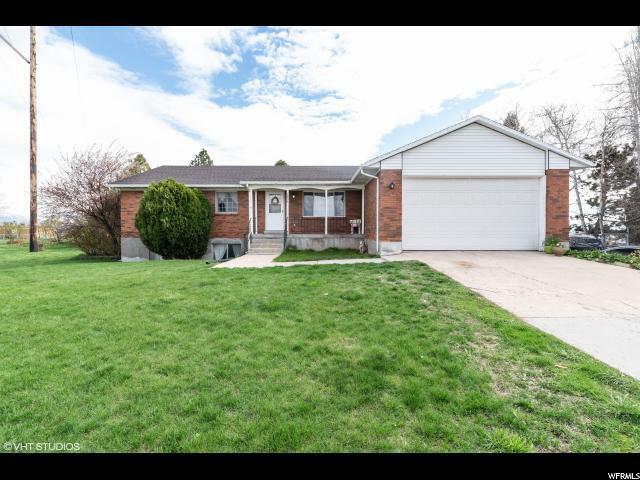 New North Ogden Listing with 0 bedrooms, 0 bathrooms and 1750 square. "Want to unwind and relax in your home? 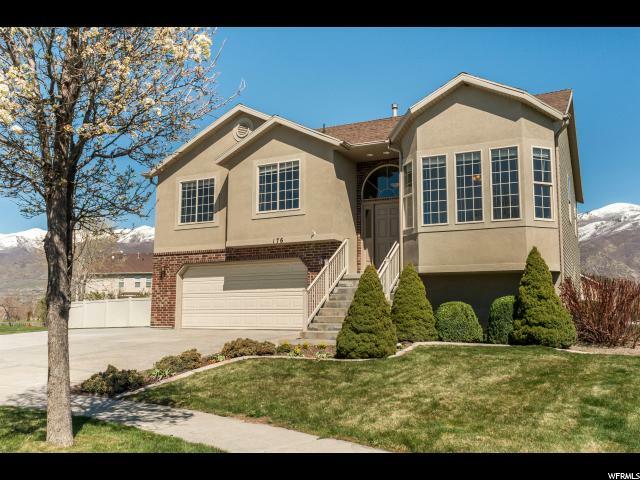 This is a must see home in a charming neighborhood, near lots of shopping and with stunning views of Ben Lomond Peak. This home has no backyard neighbors and features a deck where you can spend the evening unwinding and relaxing. 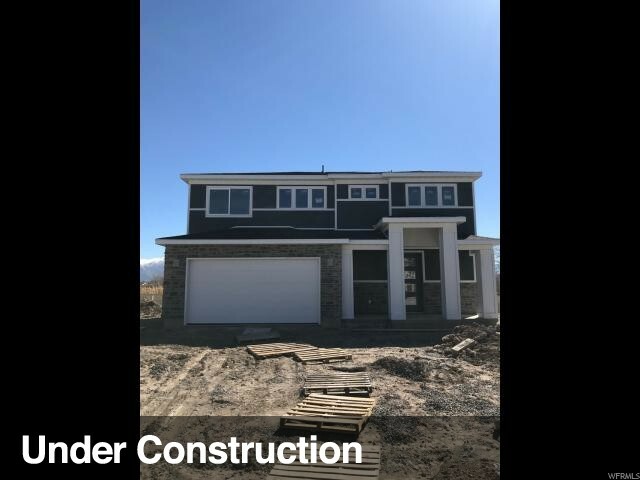 Located in North Ogden and at this price, it won't last long. Schedule an appointment today. This is a must see home that will have you falling in love with it from the moment you walk in the front door. Buyer is advised to obtain an independent measurements to verify square footage. Owners are in the process of applying finishing touches on the home so when you visit, please pardon our dust. " New Ogden Listing with 2 bedrooms, 1 bathrooms and 1722 square. 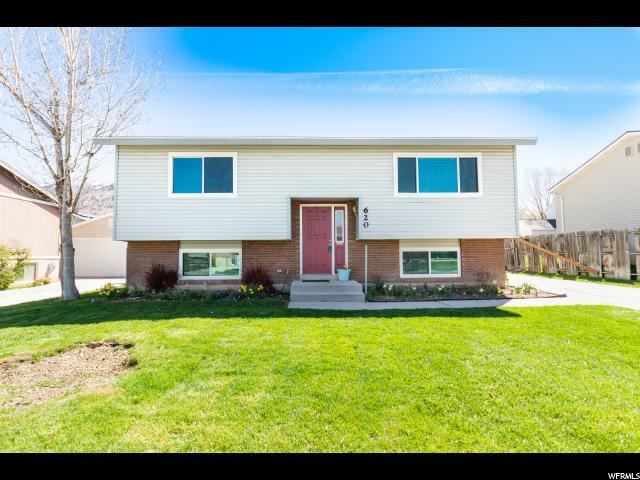 "This is a gorgeous home located on the East bench of Ogden in a quiet neighborhood close to schools, trails, shopping, and much more! Enjoy the beautiful mountain views & gorgeous landscaping. This home has been well cared for and will not last long! Schedule your showing today! Square footage figures are provided as a courtesy estimate only. Buyer is advised to obtain an independent measurement. Buyer to verify all!" New Ogden Listing with 5 bedrooms, 2 bathrooms and 1860 square. 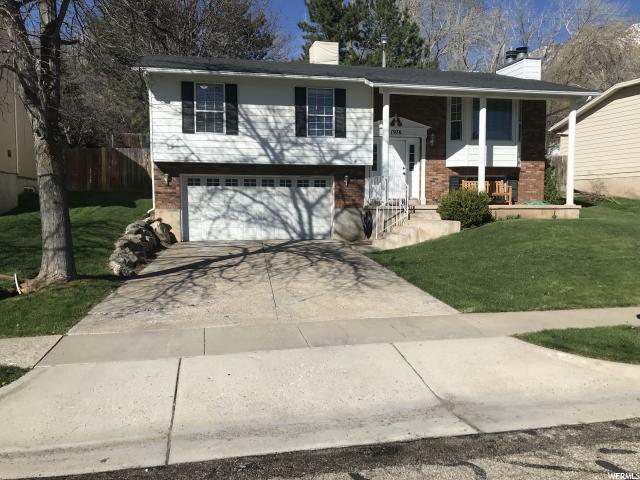 "**Open House Saturday, April 20th from 11am-1pm** Pride in home ownership definitely shows in this beautiful Ogden Split-Entry. Nestled in a quiet neighborhood, this home boasts so many upgrades it feels like new. A newer roof, carpet, paint, fridge, A/C and furnace make this a hard place to pass up! Plus features like a large cold storage in the basement, big bedrooms and a large deck with beautiful mountain views make this residence a real crowd pleaser! Schedule your private tour today to make this home your own. "